The KJV popularized the tradition of using italics to mark the English words of a translation that are not actually in the original Hebrew or Greek (or Aramaic) of the Bible. But I think this typographic custom creates the false impression that translation words come in two varieties, with the first kind supposedly representing words that are really in the original, and the second (italicized) those that are not. For example, Revelation 1:1 in the KJV reads, “The Revelation of Jesus Christ…; and he sent and signified it by his angel unto his servant John.” The thinking was that the Greek doesn’t have a word for “it” here, and that this fact is important to a reader of the passage in English. As it happens, the Greek in Revelation 1:1 also doesn’t have a word for “he” here, but my point is not that the KJV did a bad job of applying the italics (though I think that it did), but rather that it’s a bad idea in general, because it propagates two wrong notions. What does “only implied” mean? First, it gives the impression that there are two kinds of words in a translation, some “really” in the original, some only implied by the original. But I think that all of the English words are “only implied” by the original. After all, the original contains no English words. Sometimes one English word corresponds closely enough to a Hebrew or Greek one that we can say that they mean the same thing. But much more often, it takes a combination of English words and grammar to match the combination of Hebrew/Greek words and grammar. A clear example comes from English questions, such as, “when did the sun rise?” The quirk of English that requires the verb “did” to create the question is just that — a quirk of English grammar. A translation into, say, French, will not include a French word that means “to do.” On the other hand, the English sentence “the sun did rise this morning,” is — in its most likely interpretation — emphatic, and the verb “did” conveys the emphasis. Again, a French translation might not include the verb “did,” but it should be emphatic. We also see from the English/French example that it takes a lot of grammatical knowledge to understand the role that a word plays in a sentence. This brings us to the second problem, which is more fundamental. How much foreign grammar do I have to know to read my language? The italics encourage the notion that readers of a translation should understand a little bit of the underlying grammar of the original languages. (In the case of Revelation 1:1, the italic “it” marks the fact that, in Greek, the direct object is sometimes optional.) It seems to me, though, that it’s the job of the translator to hide the grammar of the source language, not to highlight it. Most readers of English translations are ill equipped to understand the precise ramifications of Hebrew and Greek grammar; certainly they can’t be expected to know as much Hebrew and Greek as the professional translators. What they can do, however, is draw flawed conclusions about the Hebrew and Greek based on their limited knowledge. When readers of English see a missing “it” in Greek — or an italicized “it” in the KJV — they often reasonably but wrongly conclude that the direct object is somehow different here, less a part of the text than a full pronoun would indicate. Parallel reasoning would lead people to believe that a missing subject is less real than a spelled-out pronoun, but because so many English readers (and translators) are familiar with Spanish and similar languages, they frequently know that subjectless verbs are the norm in some languages. Again by way of example, the issue of gender in Hebrew/Greek has been widely misunderstood because people wrongly assume that Hebrew and Greek use gender the way English does. While modern English Bibles generally no longer italicize “missing” words, the KJV remains widely distributed. And modern translations still retain some of the myth — through square brackets, for example — that there’s more than one kind of word in a translation. I think translators should try to find the English that best captures the text they’re translating, and then encourage readers to ignore the foreign grammar, not to focus on it. And I think we could do a better job explaining that the role of a word in an English Bible translation isn’t simply to mirror an ancient word, but rather to take part in the full complexity of an English translation. And it’s the translation — not the isolated words — that conveys the original message. When I saw the title I thought it was about words that don’t get translated, such as definite articles in Act 2:42 or 3:1 (in relation to “prayer”). Any chance of a follow-up article on those types of words? I understand the idea that the implied pronoun should not be halfway in. If it belongs there, put it in. On the other hand, it’s bothersome to see pronouns added where they don’t belong, such as “he took the bread and blessed it” (Luke 24:30). Are you suggesting that the “it” after “blessed” doesn’t sound right in English, or do you think “blessed it” is wrong, because the blessing was general (like “saying grace”), not directly aimed at the bread? He did not bless the bread; he blessed God who provided the bread. In this case I think something along the lines of the NIV (“he took bread, gave thanks, broke it”) communicates better what actually happened. I would probably translate it “said a blessing” or something to that effect. 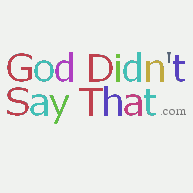 “Blessed God” can be a euphemism for “cussed God,” as in Job. “…spoke the prayer of blessing to God…”? Well, he neither blessed the bread nor God. He praised God who has provided the bread. The English mistranslation “bless” in this context is caused by the Hebrew word being used in both the sense of bless and praise. Literal translations generally do a poor job of distinguishing different senses of the same word and translating according to sense. Iver, I see what you are saying, but in the circles I frequent, “bless” has definitely taken on both of those senses. Part of this is due to the fact that לברך is a specialized term that is not interchangeable with other common words for “praise” (such as להלל or לשבח). Yes, I see your point. The meaning of words in the dialect of English which is often called Biblical English is different from the meaning of the same word in ordinary English. I was speaking as a translator who is focused on communicating in common language. I’m going off of Philip Comfort’s NT Text and Translation Commentary here, but his notes on Mark 8:7 are insightful on this matter. He contends that the original wording in this passage, extant in Sinaiticus and Vaticanus as well as other places, is eulogEsas auta (followed by most versions). Alexandrinus’ variant tauta eulogEsas is a run-of-the-mill scribal stylistic change, and eulogEsas (without an object) conforms this text to the blessing of God rather than the food. No versions follow this reading of no object here, and it’s got very slim textual support. (D shows scribal conformity to 8:6 with eucharistEsas, and the (T)NIV follow suit). So, in Mark 8:7 at least, Jesus was clearly blessing the fish rather than God, though he “gave thanks” in the prior verse for the bread. Gary mentioned Mark 8:7, where the pronoun AUTA (them, neuter) is used as the object for εὐλογέω. There is a similar expression in Luk 9:16 where the text says that Jesus eulogësen autous, where autous stands for bread and fish together. These are the only two instances in the whole bible, as far as I can tell, where the object for “bless” is a thing rather than a living being. They are both very unusual and atypical as they involve a supernatural event. However, we still need to ask what is meant by “bless” and what sense is intended depending on who is the agent (God or a human being) and who is the object. Already in Gen 1:22 you find God blessing the animals, meaning “cause to prosper and mulitply”. In that sense, you can say that God caused the bread and fish to miraculously multiply, even though they were dead things, and it prospered the people who ate them. In most cases in the OT, it is a human being who blesses people, and it is implied in this blessing of people that the person who blesses is asking God to prosper them. So, is Jesus acting as God in Mark 8:7 and directly causing these items to multiply and prosper, or is he still asking God to intervene and do the blessing? I would think there is an implied prayer to God. It is not clear to me why Mark decided to elaborate on Matthew’s account and separate the fish and the bread in the story about the 4000 people. (I don’t subscribe to the popular Markan priority hypothesis, as you can see.) He didn’t do so in the story about the 5000. Maybe he wanted to have both aspects: Jesus thanked or praised God as the provider of the miracle of the fish and bread and he also asked God to “bless” the fish in the sense of multiplying them and making people prosper from them? The beneficiaries of this blessing were not the fish but the people. Iver is absolutely right that we still need to ask what is meant by “bless.” In a Jewish context, it just does not make sense to “bless” a dead fish in any way whatsoever. Blessing fish to produce an abundance of offspring is one thing, since it can be said to benefit the fish in some way; producing an abundance of food from a fish for the benefit of humans is blessing the humans, not the fish. But when it says “bless” without an object, from the perspective of Second Temple Judaism it is obvious that we are talking about a prayer of thanks directed to God as provider.